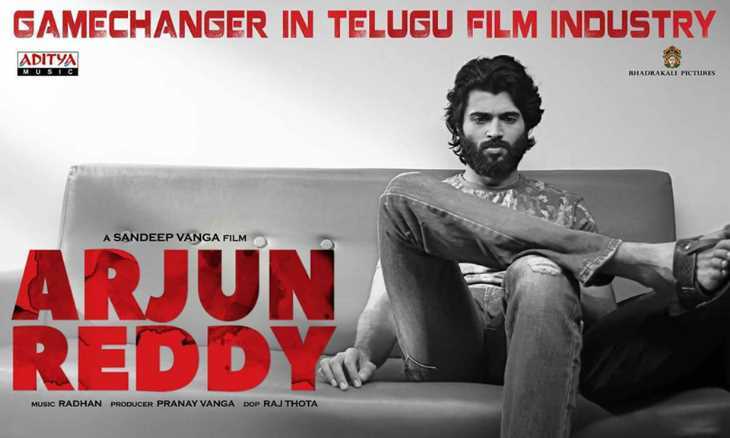 Arjun Reddy Movie TRP Rating: The Sandeep Reddy Vanga’s directorial venture Arjun Reddy, the most controversial and bold Telugu movie of 2017 starring Vijay Deverakonda and Shalini Pandey which created a lot of buzz in Telugu Film Industry and turned out Superhit at the box office, also performed quite well during its second release on TV garnered a thumping response on TV too. The film has garnered a 13.6 TRP during its Television premiere. Arjun Reddy Movie TRP rating tells it is a big success on TV too. There are two prime reasons that back our statement. One – being 2017’s boldest film, Arjun Reddy wasn’t expected to be watched by families, TV’s lion’s share of viewers. Despite the aforementioned reasons, Arjun Reddy registered a very good TRP rating, 13.6, which is better than the TRPs registered by SPYder and Sharwa’s hit film, ‘Mahanubhavudu’. Sandeep Reddy’s direction and Vijay Deverakonda ‘s performance are the major highlights of this film, which was released in August 2017 and received rave response from critics and audience alike. Arjun Reddy Movie charts the journey of the titular doctor, who turns to alcohol and drugs after his girlfriend, also a medico is forced to marry another man. The post Arjun Reddy Movie Trp Rating GameChanger In Telugu Film Industry appeared first on SouthColors.